Armand de Brignac Brut Gold NV Champagne 75cl in Branded Box Armand de Brignacs unmistakable gold-plated bottle has its roots in the French fashion industry and its reputation for opulence. 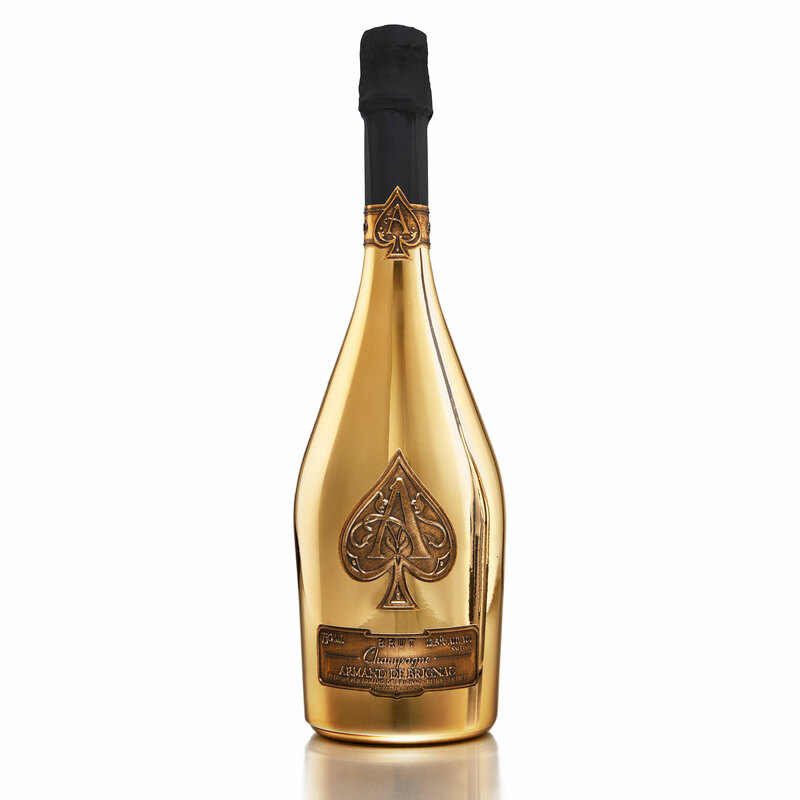 Originally conceived by the celebrated Andre Courreges fashion house the striking bottle is decorated at a single site in Frances Cognac region and is fitted with four pewter labels that are hand-applied to the surface of the bottle.Armand de Brignac is a Prestige Cuvée produced in the traditional old-world style from grape to glass. 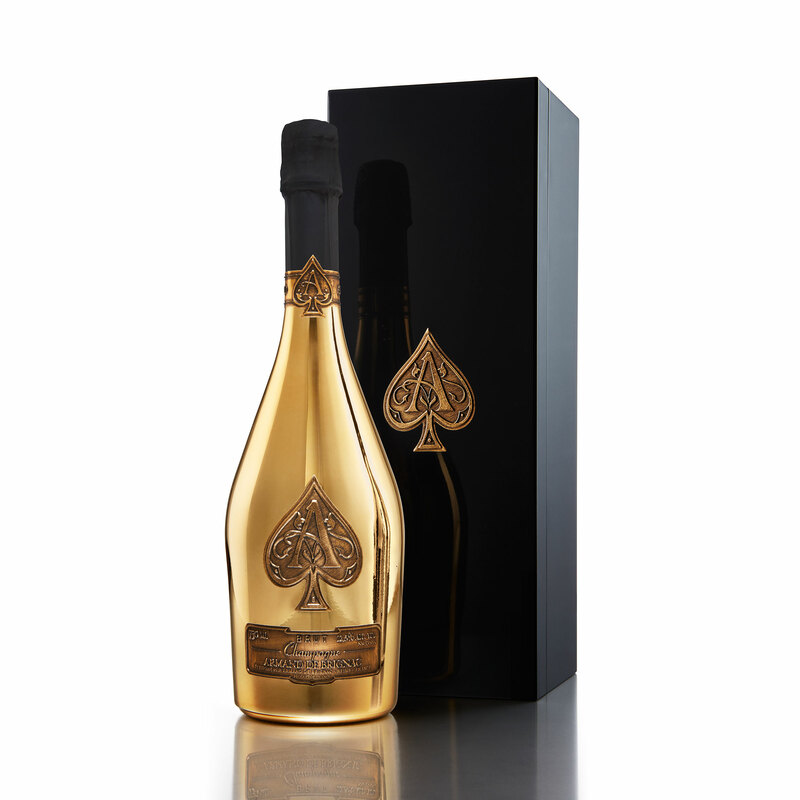 The Brut Gold also known as ''''ACE OF SPADES'''' is pressed from a perfectly balanced blend containing Chardonnay Pinot Noir and Pinot Meunier wine. 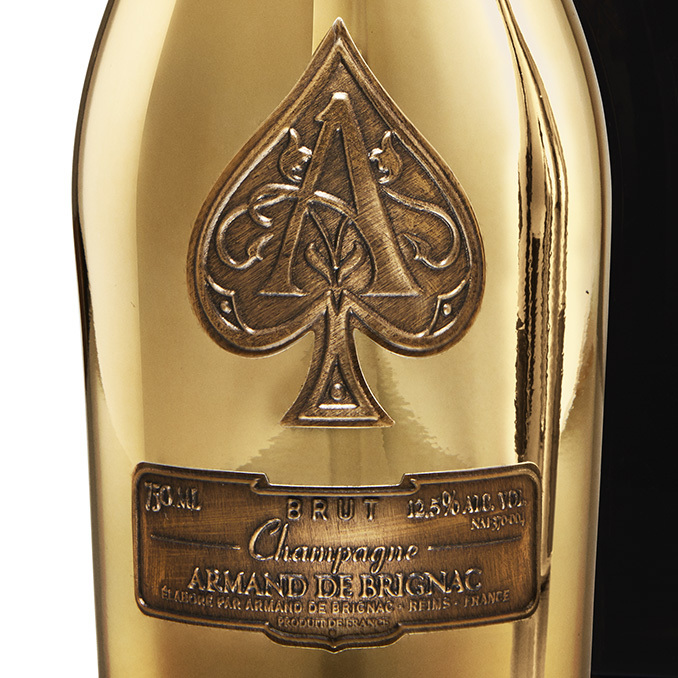 On the palate Armand de Brignac has a sumptous racy fruit character that is perfectly integrated with the wines subtle brioche accents. The Champagnes texture is deliciously creamy with great depth paired with a long silky finish. Armand de Brignac Champagne represents unmatched winemaking expertise and a true passion for the art of Champagne. In 2010 it was rated first in the World in a blind tasting of 1,000 brand. José Penin gave it 98 points out of a possible 100 (his highest ever rating for a Champagne) and Jancis Robinson, among many others, praised this Champagne. Armand de Brignac is made exclusively from Premier Cru and Grand Cru grapes from the Montagne de Reims, Cote des Blancs, and the Vallee de la Marne terroirs. Each of the cuveés is a blend of three outstanding vintage years. Armand de Brignac bottles age in a gated section of Champagne Cattier's cellars, considered among the deepest in Champagne at more than 30 metres underground. Each cuvée includes a special liqueur de dosage aged for nine months in oak casks from Burgundy. Armand de Brignac is available in a wide variety of larger formats, including the exclusive 40 bottle Midas, Just Ask and we can order the in just for you. Magnum (150cl), Jeroboam (300cl), Methuselah (600cl), Nebuchadnezzar (1500cl) and Midas (3000cl) formats are all available in limited quantities.